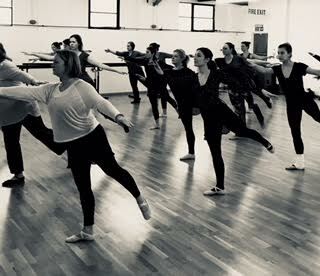 ​This is a lovely class for those who may have danced when they were younger, those who do not yet feel ready to be in a more advanced class or those who have never done ballet before. 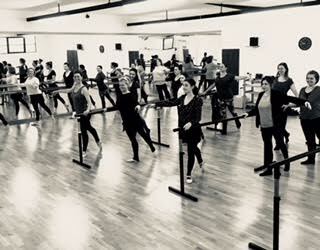 Ballet classes all follow a fairly set format and so you can push yourself as little or as much as you want to depending on your experience and personal reasons for taking the class. 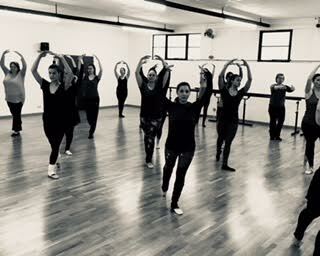 We will work on technique and you will learn all the basic ballet postures and steps. This is fantastic class for those who want to work on their core strength, muscle tone and flexibility. It is also just wonderful to escape from the stresses of the day and feel like a ballerina for a while. A more advanced class for those with more experience. A knowledge of all basic steps and positions is required. 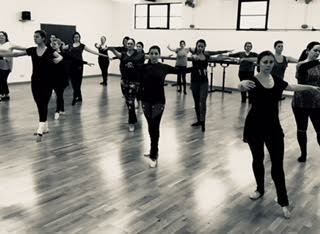 With a faster pace and more technical steps, this class allows us to cover more travelling work, pirouettes and jumps in our centre work. If you would like to wear a leotard and tights that is, of course, lovely. If that is the last thing you would like to wear then please wear whatever you feel comfortable in. Make sure you can move freely and remember you will get quite warm. If you don't have ballet shoes then socks will be OK for the first couple of classes but if you are keen to continue you can buy them quite cheaply. "I REALLY am enjoying it. Thank you so much for bringing ballet back into my life!" ​"I've been walking with my toes turned out: I'm already feeling like a ballet dancer again!" "That was fantastic. I loved it. I loved the mix of classic and new tunes. Your teaching style is lovely - You are very clear. I felt great getting back to ballet movement. Thank you for bringing ballet back into my life!" "It was SO lovely to do ballet again! Your class is divine: I thought today; it's the only class I've ever thought "oh no, only 15 minutes left", normally I'm counting down from the start!" "Another lovely lesson, thank you. I feel totally wiped out in a good way. I notched up 184 calories on my Fitbit for that hour. I really am enjoying it. "